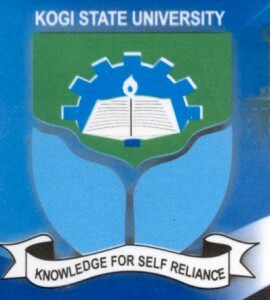 Kogi State University, Anyigba, KSU Post-UTME and Direct Entry Admission Screening Form, Eligibility, Screening Date, Time and Venue, and Application Guidelines for 2018/2019 Academic Session. This is to inform all candidates who applied for admission into Kogi State University, Anyigba, for the 2018/2019 Academic Session and who made the institution their FIRST CHOICE, that the admission screening exercise will take place between 10th to 17th September, 2018. The admission screening will be through a Computer-Based Test (CBT) in subjects similar to their UTME subject combination. Candidates who made the University their SECOND CHOICE NEED NOT TO REGISTER for the Screening Exercise. Only candidates with cut-off mark for the courses they apply for (as attached) with a minimum of Five (5) O’Level Credit Passes in the relevant subjects. Including the English Language (and Mathematics for programmes in Faculties of Natural Sciences, Management Sciences, Agriculture, Social Sciences and Some programmes in the Faculty of Education) at not more than two sittings, are eligible to attend the Screening Exercise. Candidates are to Login with their JAMB’s UTME number as user ID (example UTME No J245521) and “password” as the password. Candidates are advised to change this password at first log in. After Successful payment, proceed to complete the application form by first completing the Bio Data form and other relevant information. After completing the application form, Preview your application to ensure the information entered is correct then click on “Submit Application”. After successful submission, candidates are required to print a “Registration Slip” as a means of identification into the Computer Based Test Examination (CBT) venue. Candidates are advised to strictly adhere with the Screening date as shown on their Registration Slip. Candidates MUST arrive at the Professor F.S. Idachaba Lecture Theatre ONE HOUR before their Scheduled screening time to ensure proper briefing and accreditation. Candidates are prohibited from coming into the Examination Hall with a mobile phone(s), flash drive, modem, biro, pencil and/or any electronic gadgets. Candidates are to note that registration after the closing date of mid night 7th September, 2018, will not be allowed. Candidates must have valid phone numbers and E-mail address before starting the application procedure.